y poder jugar en ellos a saltar y reír un montón. ¡Ten cuidado,no te vaya a salpicar!" 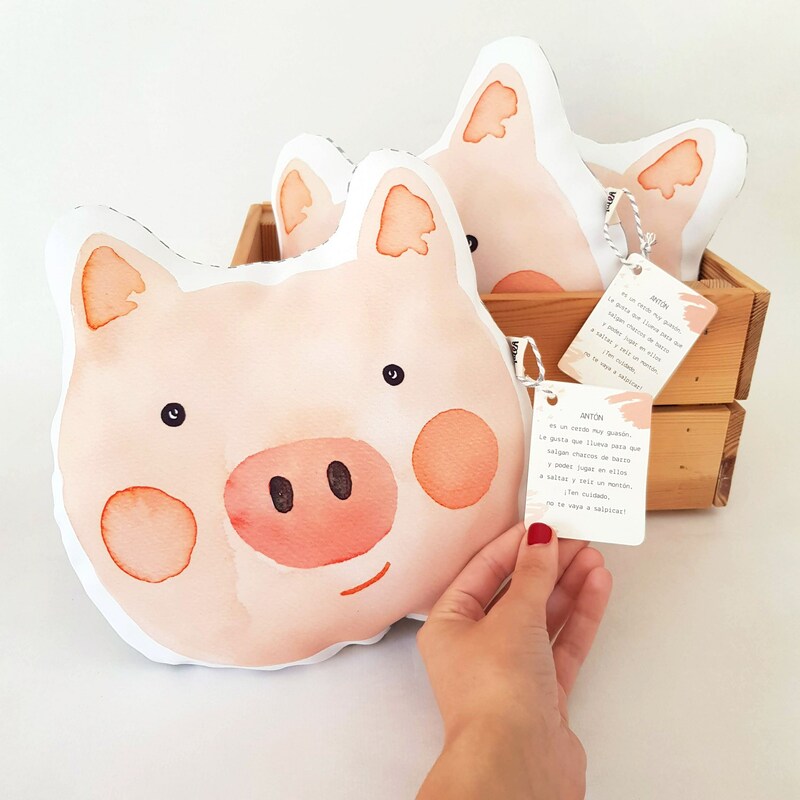 • Cojín ilustrado CERDITO infantil de la ilustración original en acuarela con simpática historia del personaje. 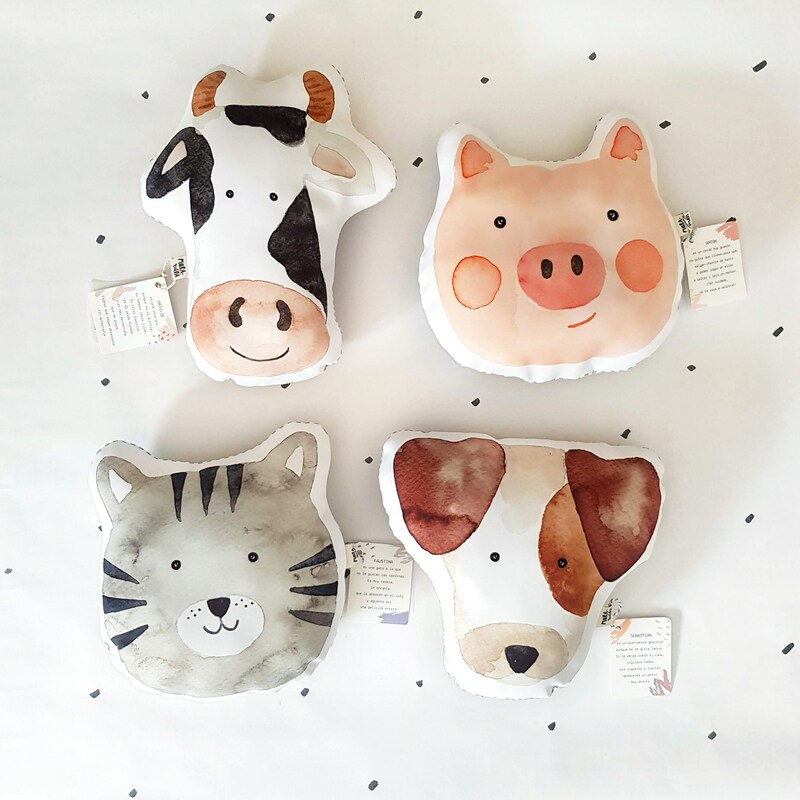 • Perfecto para regalo y decoración de bebés, niños y niñas, ¡combínalo con otros simpáticos cojines de la colección de animales! • Tamaño aproximado 25 x 25 cm. 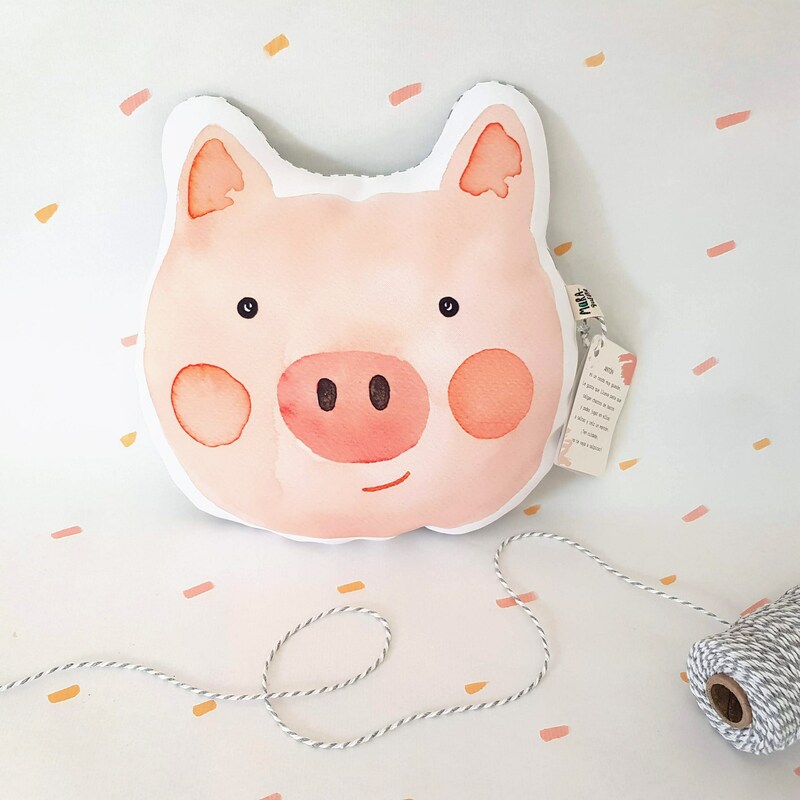 This little pig is called ANTON. He likes the rain to play with puddles and mud. 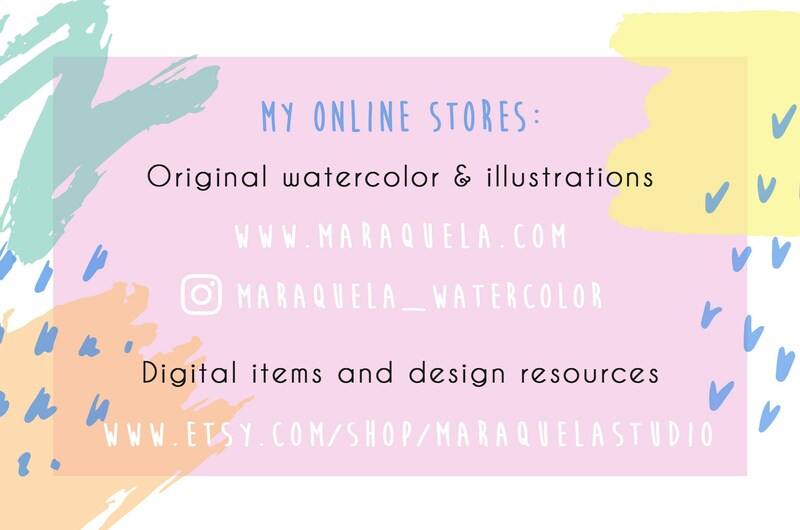 Be careful, it can splash! 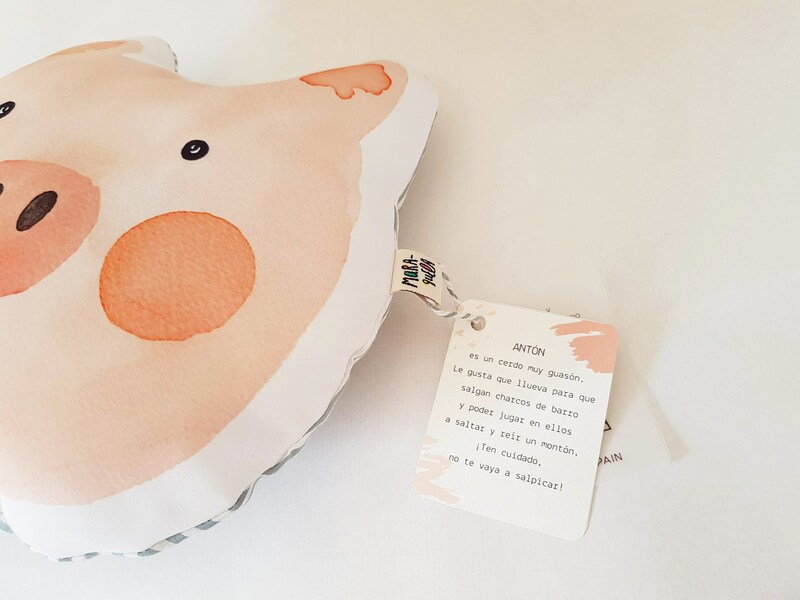 • Antón is a throw pillow from the watercolor pig illustration. 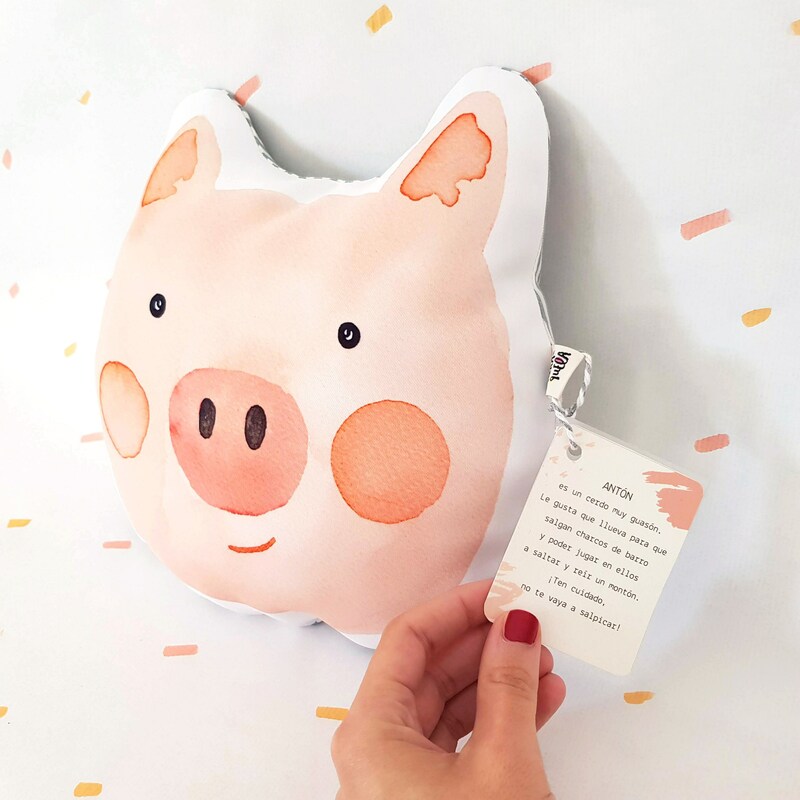 It includes a small story of the lovely little pig. 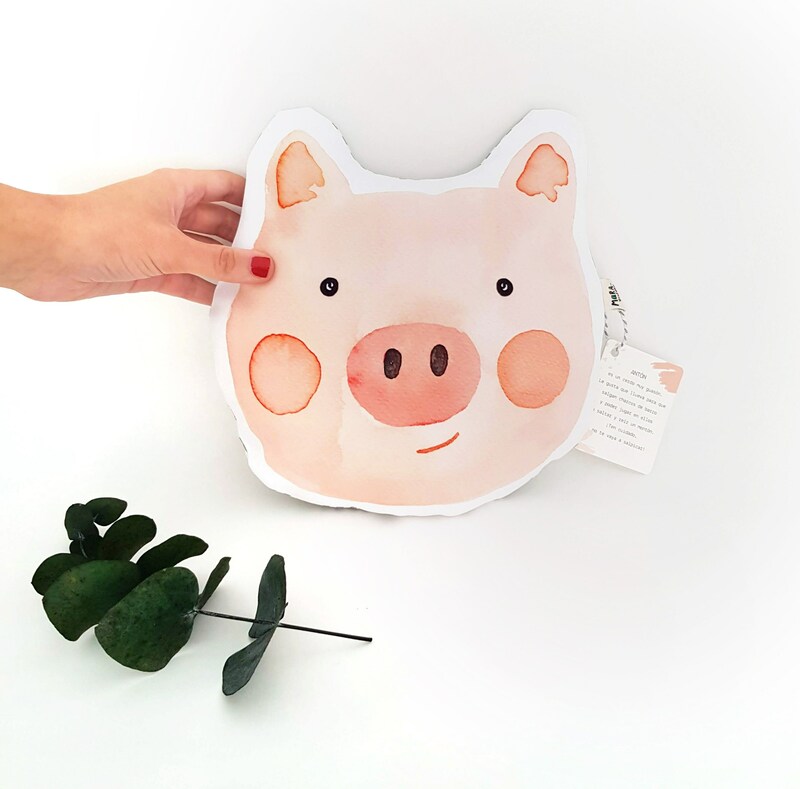 • Includes a small story with Little Antón's personality (in Spanish), making it a unique friend. 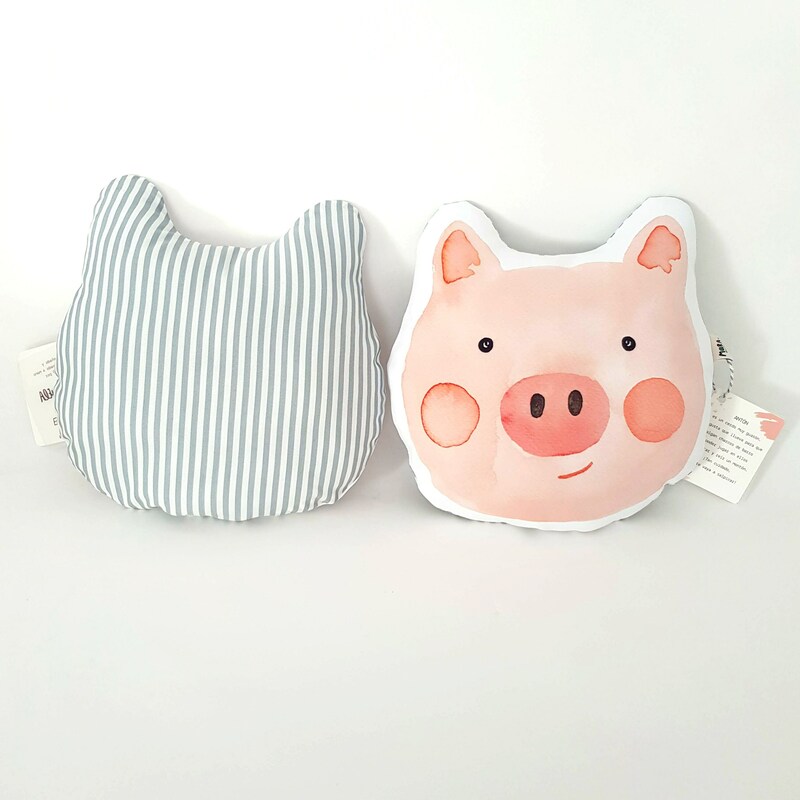 • Antón Pig cushion is composed of an illustrated front side and striped fabric on the back (gray and white). 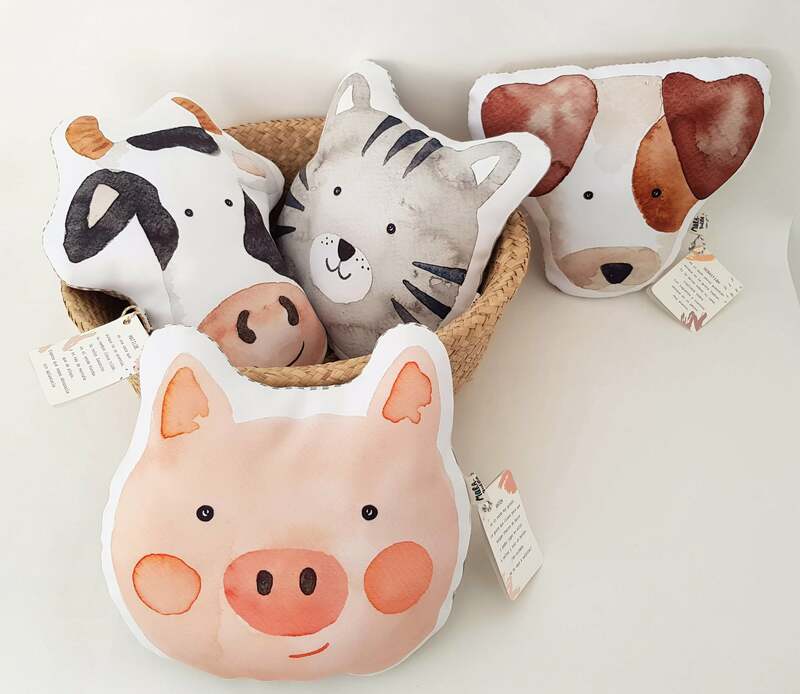 • Cute nursery cushion from the Farm Animal cushions collection for the decoration of the crib, bed or chair in the room of the baby or child. 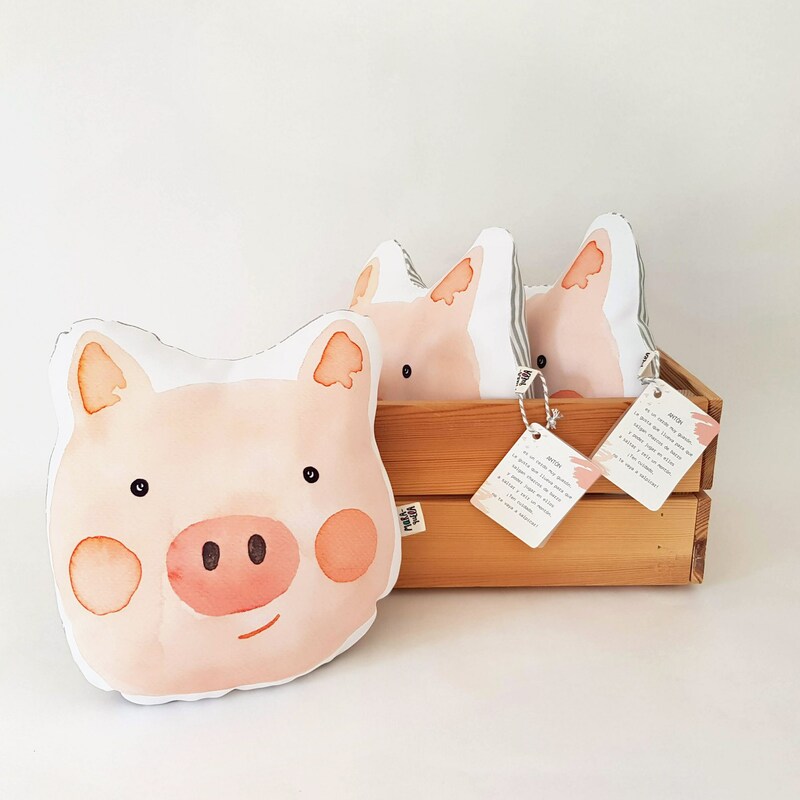 • Approximate size: 25 x 25 cm / 9.8" x 9.8"